An energy-efficient bullet train has just been launched – the first new model to take to the tracks in five years. 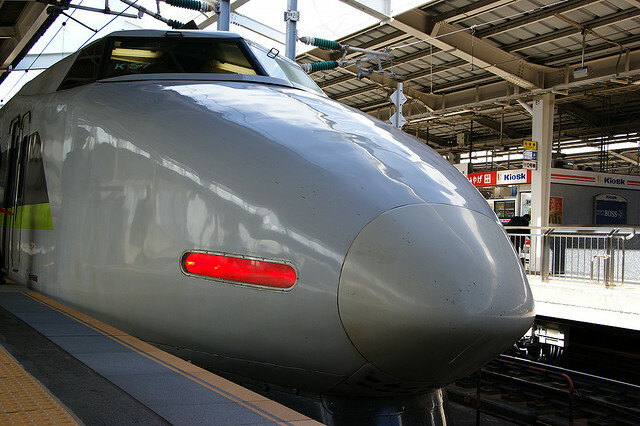 The Central Japan Railway Company say the new Shinkansen train has several new features designed to ensure it runs more firmly at high speeds thanks to a function that ensures automated running while maintaining maximum speeds set for each section of track. This unique system can anticipate terrain, slopes and curves. Energy-saving LED lights and a dimming system in the carriages will cut lighting power consumption by 20 per cent and the cabin’s seat cushions are made from 100 per cent recyclable materials. The operator will invest 66 billion yen (USD$832 million) to manufacture six of the new N700A trains this year and seven over the next few years. Travellers will get to ride in the new train when it makes its commercial debut in February 2013.